450 pages | 5 B/W Illus. 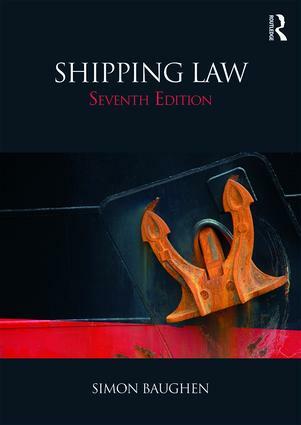 In this well-established textbook, Simon Baughen expertly covers the whole spectrum of English shipping law, placing the highly specialised rules of shipping in a commercial context and relating them to the general principles of contract and tort law. The book’s accessible narrative and useful glossary of key terms will especially benefit students new to shipping law or from non-law backgrounds. Fully updated throughout, this seventh edition provides an invaluable source of reference and will be of use to both students and to those in practice. Simon Baughen is Professor of Shipping Law at Swansea University. Previously Reader at the University of Bristol Law School, he studied law at Oxford and spent a number of years practising maritime law.